Need Official Fantasy Bundesliga reinforcements? 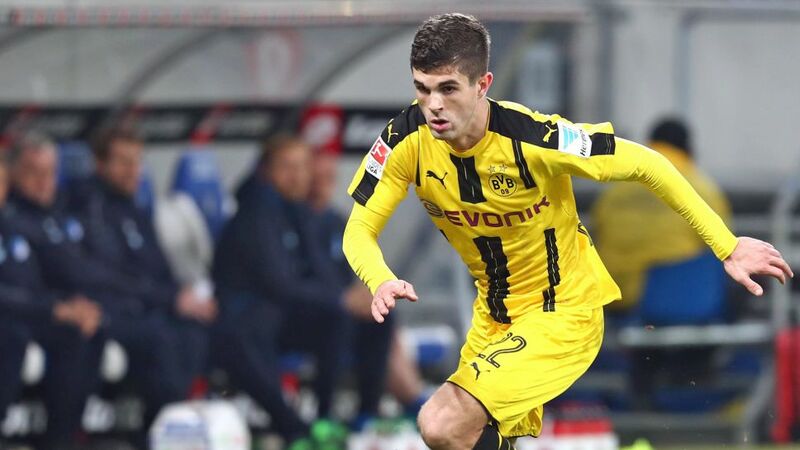 Sign Pulisic and Co. right here! The 18-year-old has already made six appearances in his debut Champions League season, and is joined in the select XI by BVB teammates and fellow tournaments newcomers Raphael Guerreiro and Ousmane Dembele. FC Bayern München provide the team's other two Bundesliga starlets, in the form of Joshua Kimmich and UEFA EURO 2016 winner Renato Sanches. Players from FC Barcelona, SL Benfica, AS Monaco, FC Porto and Real Madrid CF complete the breakthrough ensemble, but no other league is as well represented as the Bundesliga.